A special keepsake to commemorate a lost loved one, our glass tealight holder is a perfect reminder of them every time a candle is lit. 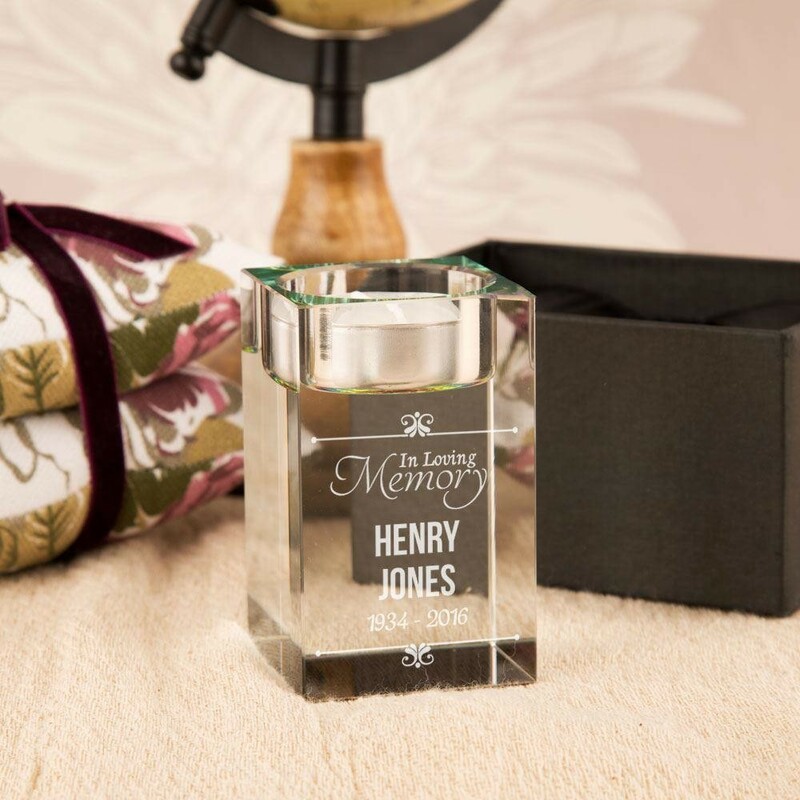 The simple design features the words 'In Loving Memory” between two regal motifs, your loved ones name and important dates are laser engraved onto one side of the rainbow effect glass to make a truly special memento to their life. 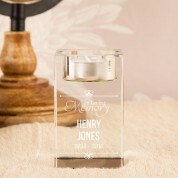 The tealight holder is presented in a silk lined gift box to make a sweet with sympathy present.